Quick, describe the last combat encounter you ran during a session of Dungeons and Dragons! If you can't describe anything other than the enemies and general vicinity the fight took place in, then there's a problem. 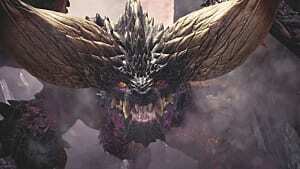 Fortunately, Monster Hunter: World has the solution. 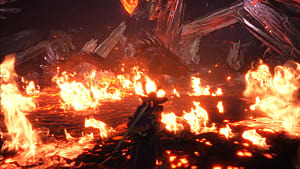 Not only does Monster Hunter World have memorable environments, but it also has tightly designed battlefields. Those intricate designs, both of battlefields and monsters, have much to teach an aspiring Dungeon Master. So, what does this game's design have that your game might not? In D&D, every turn brings a choice. Which spell should I use, whom should I heal, what monster should I take down first? Choices like these are inherent to every battle. The designers of the game gave players choices during combat because choices are what make those encounters fun to play. But what makes a good choice? Obviously, a choice is a selection between multiple options, but it isn't meaningful if the options aren't different enough or if there is a clear, correct answer. 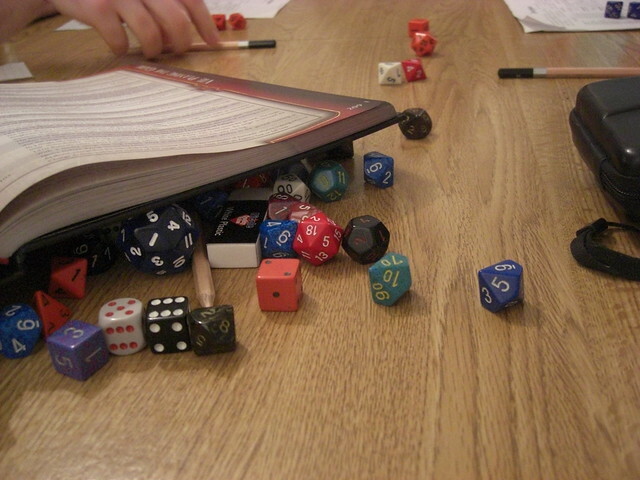 That may seem obvious, but it reveals a weakness in the design of D&D combat. Take for example the fighter class. If a fighter must choose a weapon to fight with, then it is a simple numbers game of whichever hits hardest. There is a clear, correct answer. The decision to either hit a monster with a sword or run away is also a numbers game. If you can survive another round, then attack; if you cannot, then flee. Simple. Number games which masquerade as choices don't make a combat encounter any more entertaining. Now let's look at the wizard class. A wizard can pick between damage or utility spells during battle. Is it worth giving up a Fireball in order to try to stun multiple enemies? Will a Wall of Force create a tactical advantage that is more useful than defending someone with Mirror Image? These decisions are much more varied and unclear, thus making for engaging combat. Nonetheless, the decisions a wizard must make during battle are usually the same. The wizard decides between the same, limited amount of spells they know. To make the problem worse, many spells are situational. A singular use for all spells can make a wizard's choice into a number game, which is no fun. Clearly then, the question of how to make a good combat encounter becomes "How do I create interesting choices during combat for all my players?" Here, Monster Hunter World has answers aplenty. 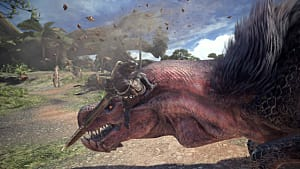 Monster Hunter World also has inherent choices in its combat system. This time, however, the choices the designers baked into the game are only the start. After all, a riveting combat encounter needs more choices than just "Should I use the lance or the long sword?" Monster Hunter World knows that and creates choices using more than just the base combat system. 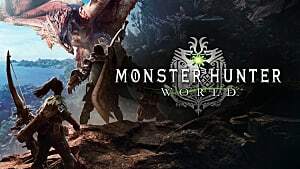 Because Monster Hunter World acts in real time, unlike D&D, it can be hard to identify the choices this game gives its players. It can be even trickier because of the denseness of its terrain. But with experience, any eagle-eyed hunter can spot them during the heat of battle. So, where to look for these choices? Find a choice croaking in the mud. Spy one flitting about in a cave, flashing with light. Cut another one to the ground and watch it spill across the jungle floor. The choices have been scattered across the terrain by wily designers, just like they should be in your game. 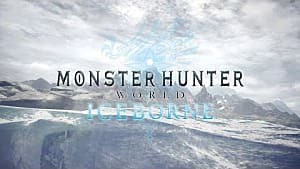 The genius of the battlefields in Monster Hunter World is that there are other agents acting in any given battle other than the players and their target. Paratoads can pop up from the mud, giving you the opportunity to paralyze the monster. You can spill the venom from basin-like plants and lure the monster into it. You can trade a few moments' worth of attacks for the attempt to lead a monster into a vine trap. Or take the time you would spend hitting it with an oversized weapon to run up a tree and try to mount the beast. Is it worth getting mired in the muck to avoid an attack, or should you brace yourself and maintain your position? A choice was made, and the game becomes a little more interesting. When a player makes a decision, they take ownership of the battle they are in. 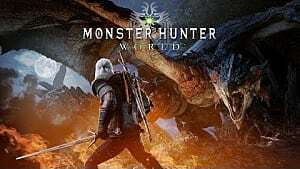 The hunter becomes engaged, and the frenetic energy of Monster Hunter World is at its peak when a player carries out their well-laid plans -- even if that well-laid plan ends with you getting caught by an errant sleeptoad and being trampled to death as you snooze helplessly on the ground. 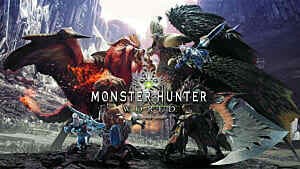 Monster Hunter World is rife with choices, but it is limited by technology. 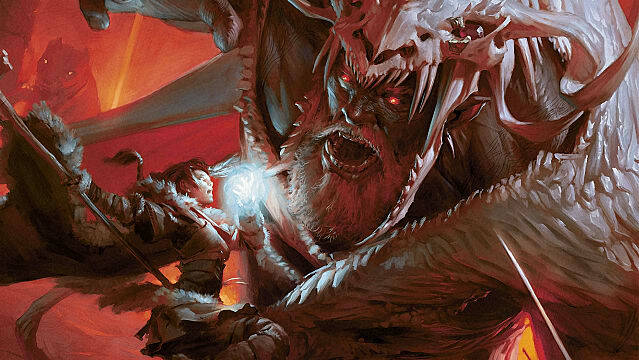 Dungeons and Dragons has no limit, and that's the appeal. Anything the devious Dungeon Master can think up can happen in the game. That means that any DM can learn from Monster Hunter World and make combat encounters that are twice as fun! To do this, you could theoretically rip these elements straight from Monster Hunter World. Create paratoads and sporepuffs which inflict status effects on creatures in their areas of effect. Put boulders hanging from vines, and let your players ready an action to break the vine when an enemy passes by. While that is all fine and dandy, and likely already an improvement in your combat encounters, a creative DM can go even further! Introduce a swinging rope bridge between the party and the enemies, and let your players cut enough rope from the sides to collapse the whole thing and send those orcs hurtling downwards. Put a chest of gold on the other side with the orcs, and make the players think twice about taking the easy way out by cutting the bridge. Another example might be to fill a cave with difficult terrain and thick stalactites, then introduce a creature of high mobility, unbothered by the difficult terrain. Desperate for footing, the players might risk a collapse by knocking down stalactites to create navigable terrain. Your options as a DM are limitless. Utilize traps to change the terrain of the battlefield. Let players notice them before combat and perhaps use them to their own advantage. Create creatures and plants that can change the battlefield or that can even be persuaded to actively aid any creature that they choose. Give the players more opportunities for choice than what is already on their character sheets. Oh, and one last thing to really spice up your combat encounters? Remember that even the players' enemies can take those opportunities if they're clever. Have more to add? Want to share your favorite combat tricks? Leave a comment below!